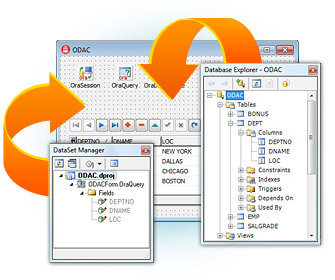 ODAC is an enhanced component library for fast direct access to Oracle from Delphi, C++ Builder and Lazarus, supporting Windows, Mac OS X, iOS, Android, Linux, Free BSD for 32-bit and 64-bit platforms. ODAC includes comprehensive support for Oracle functionality: Oracle Advanced Queuing, Oracle TAF, and distributed transactions. Main advantages include direct access to Oracle data, Disconnected Model for working with data offline, etc. Auto-tagging of SharePoint managed metadata and enterprise keyword columns with content-based categories or keywords depending on term store taxonomies, tag rules, item and document properties, information store context and textual document contents. Easy to use, cutting edge Email Validation for .NET Developers. Performs industry standard syntax, MxRecord, and Mailbox Checking. Uses multiple threads across multiple processors for maximum thoroughput. Download a free trial today.